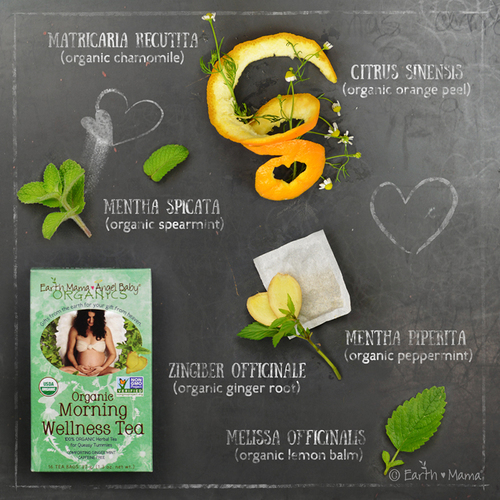 Ginger-minty Earth Mama Morning Wellness Tea is a comforting way to help get you through the day when a queasy tummy hits. Blended with stomach settling Ginger Root and Spearmint, a safe hint of Peppermint, soothing Chamomile and Lemon Balm with just a yummy twist of Orange Peel for flavor. Steep, sip and enjoy! Naturally caffeine free in 16 easy to brew tea bags. Made in USA.